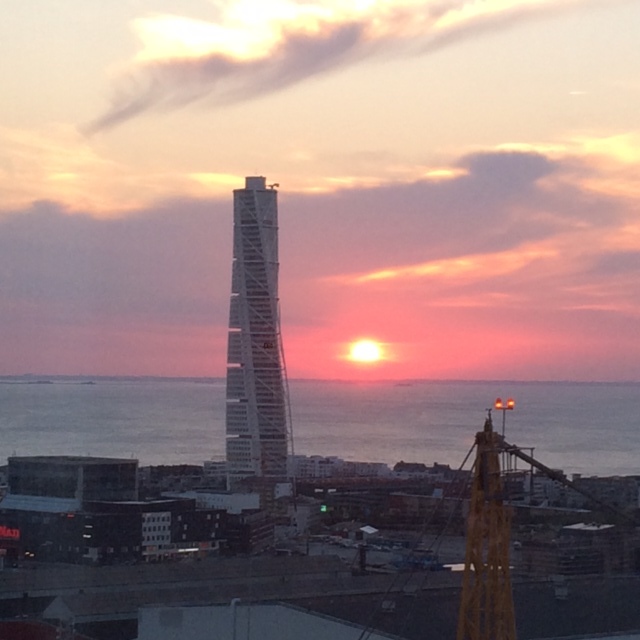 Finally Malmö has a bar with a view. Sure, Malmö is a pretty small city (although the third largest in Sweden) but it has some impressive landmarks that are a real treat to view from above. Skybar is located in the same hotel as Eatery Social, on the 24th floor, so after our taco dinner we took the lift upstairs to take in the view. We were there a Monday evening and it was buzzing, which made us wish the bar was a bit bigger. 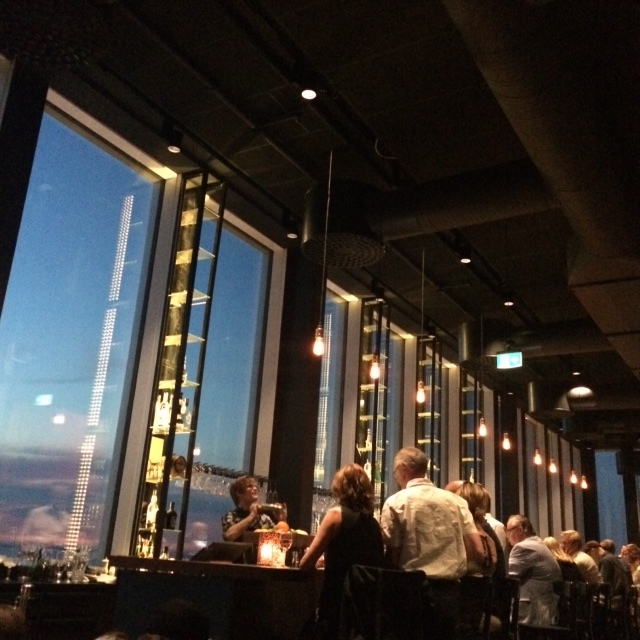 But what’s there is good; the view, the cocktails, the service and the ambiance. But it’s worth coming here for the view alone. It’s pretty great. 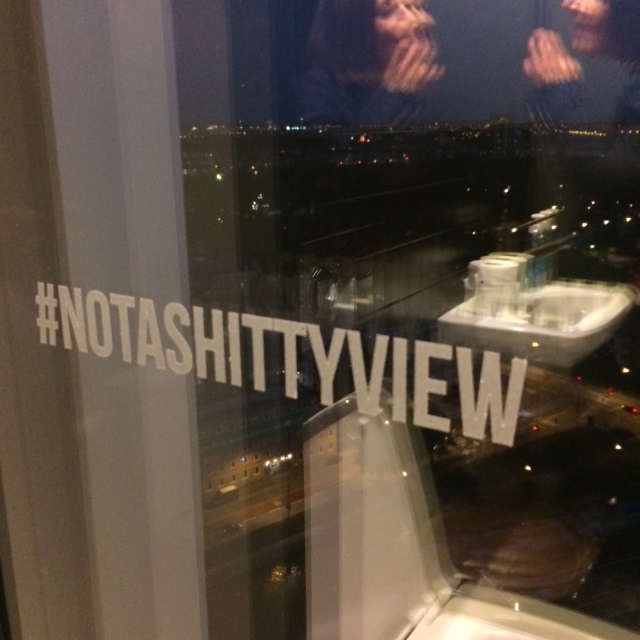 So good that they’ve printed a funny hash tag to the loo window. Cool post! 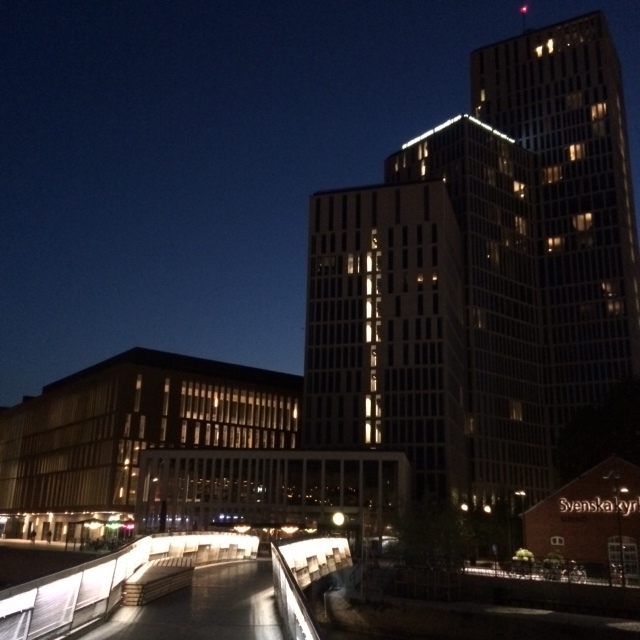 I’ve been to Malmö some months ago, too! We had some spare time at the Copenhagen Airport and decided it would be a cool idea. Sadly, we missed out on the Skybar. It looks decent!